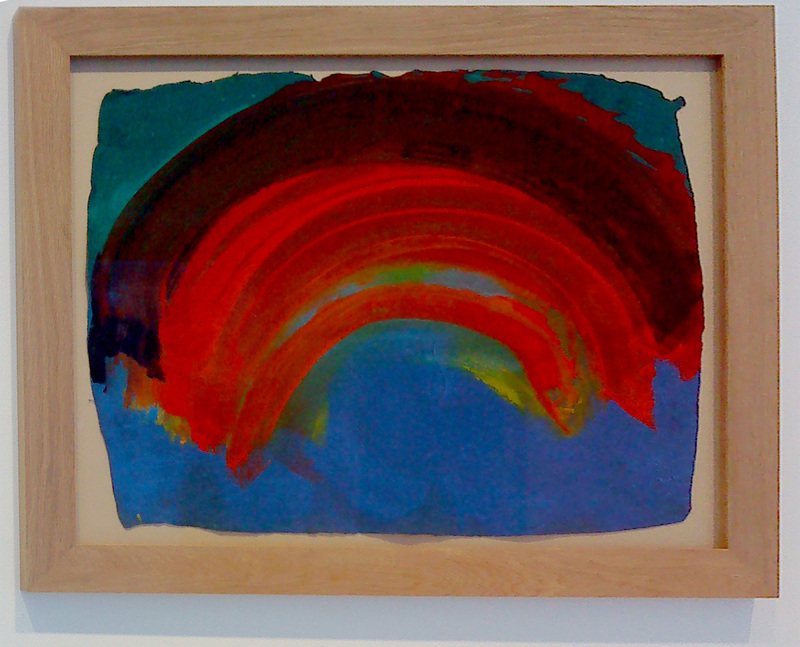 Evening and Day Editions at Phillips Berkeley Square, 22nd January. Although we live in a world where we can access all sorts of content free and on demand, it seems that most people still want to own physical things that are somehow culturally important to them, that express something about them. We can call it art, we can call it shopping. We may admire the work of Rembrandt or Gerhard Richter in galleries and museums but most individuals are unable to come up with the tens of millions needed for a major original. But what if you want something for a little bit less? You could of course just steal one, but even presuming that you could get away with it (and like me you have no moral qualms), you could never really show it to anyone. And you might feel a bit like a Nazi war criminal. So you have to consider copies, acknowledged and unacknowledged, or you could just print out the highest resolution image on the internet and hang that on the wall instead. And why not? Now for a major Rembrandt or Richter oil painting, it would obviously not have all the qualities of the original and scale would still be an issue unless you have a very large printer. But for a drawing or a print at the correct scale on a similar paper, the artefact might be physically close enough to bear looking at. But there is no connection to the artist, and that’s cold. Now if you are talking about a cold artist: a Duchamp, a Warhol or conceivably a Polke, that might just be ok. But Picasso? No. I want to feel that my Picasso was blessed by his touch however briefly or even just his presence in the room. What might I be able to (maybe) afford one day that has that? The Multiple: museum quality art for a fraction of the price (ok it’s still pretty expensive), the only downside being that a couple of hundred other people have the exact same thing. But it is ‘market authentic’ – it is branded and the label still shows when you wear it, which is what you want. Which brings me to the Phillips contemporary sale in their swanky new Berkeley Square rooms last month. I came across it by accident – I wandered down after I saw some Howard Hodgkin prints at Gagosian Mayfair and was thinking that they might be the kind of art you could actually live with – a domestic scale, colourful and with just enough content to hold your interest and not be corporate-bland and not so much content that it would forever dominate your room. And at the Phillips sale there was a whole menagerie of similar work. These were works blessed by the artists, or their estates, and all seemed like fairly good examples of mature work by artists we all recognise. 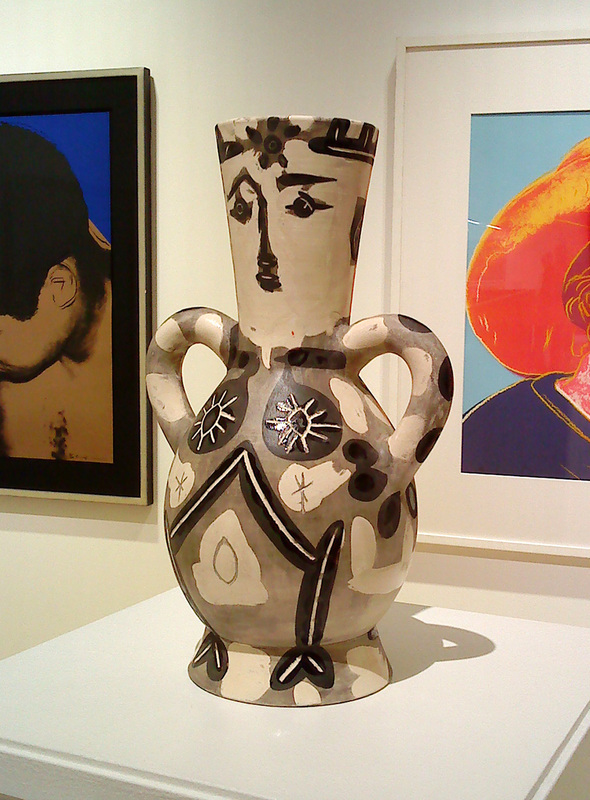 Your dwelling could become a miniature Museum of Modern Art for under $100,000 – or less than the price of a posh car. It’s not just prints though – the Multiple embraces editions of sculptures of all sorts even less obviously commercial ones like Kippenberger. 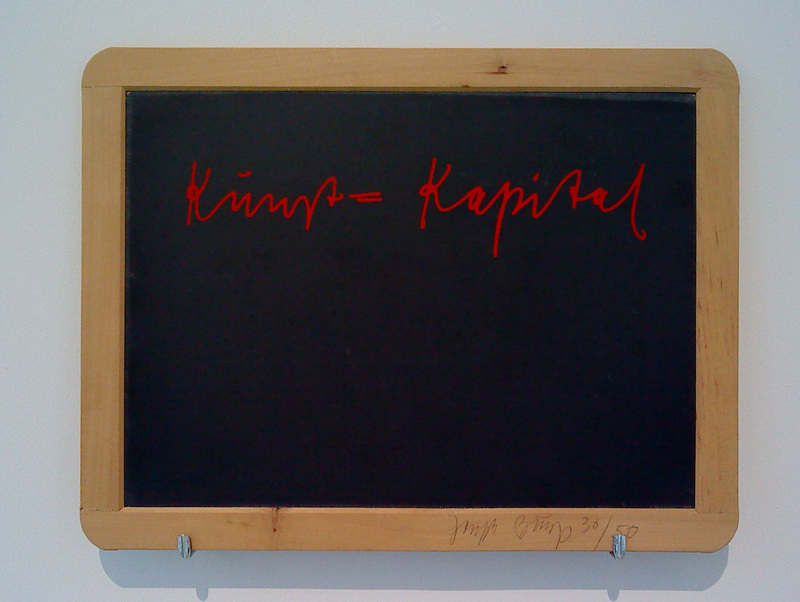 Even Beuys shows his ironic appreciation of his commodification with his slogan Kunst = Kapital. Beuys tells us how it is. Yes, Joseph Art is Money, so what does that make this, precisely? 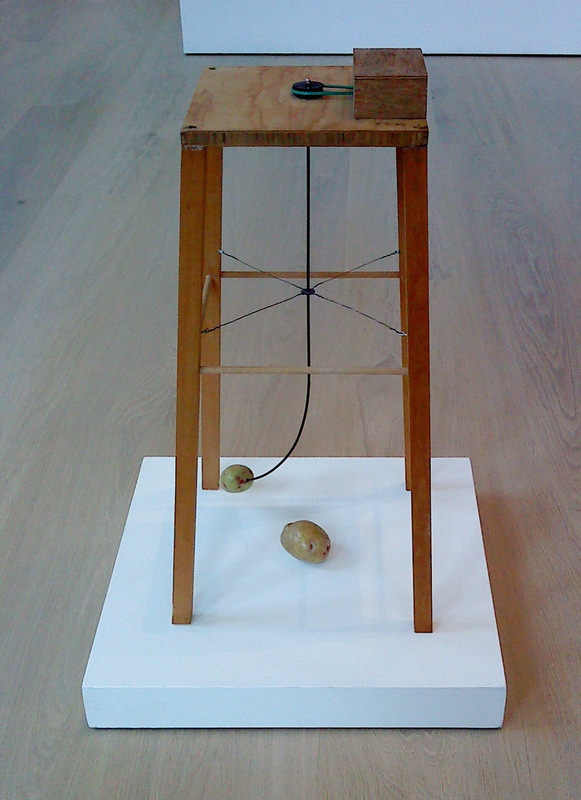 If Polke is your thing there was an intriguing Apparatus Whereby One Potato Can Orbit Another. An edition of 30, potato not included. This entry was posted in Art, Auctions, Contemporary, Galleries, London, Multiples, Uncategorized and tagged Art, Auction, contemporary art, Duchamp, Gagosian, Galleries, Gerhard Richter, Howard Hodgkin, Julian Opie, London, Phillips, Phillips Berkeley Square, Picasso, Sculpture, Sigmar Polke, West End. Hi Gigi, thanks for the comment! To me a multiple is anything that an artist makes in a big edition to sell a bit cheaper than the usual stuff – a diffusion line in retail terms. So with the right dealer I reckon your potatoes could be pretty lucrative! Could you tell me where the Opie is for sale/sold? This sale was at Phillips about a year ago, so it’s all long gone. I believe the Lisson gallery is still Julian Opie’s main dealer in London although I have seen multiples at Cristea in Cork St and elsewhere.